The controversy surrounding the efficacy of social media advertising is still a hot topic, especially since General Motor’s pulled $10 million in advertising from Facebook. This left many other businesses confused about whether or not Facebook advertising was the best for their business. Because of this controversy, Resolution Media and Kenshoo has been at work for the past year analyzing global data to see just how feasible rates of success are for ads on the social network. 65 billion Facebook ad impressions and 20 million Facebook ad clicks were studied over a wide variety of brands and categories. The findings came out to be that Facebook ads are successful in helping to foster meaningful relationships between brands and their consumers, if it is done right. The study proved that Sponsored Stories and Post Ads receive double the click through rate of all the Social and Web Ads. Post Ads received further favor because they often feature offers that are larger than a normal ad and people like the deals. Sponsored Stories work best to draw audience attention if they contain something the reader can make a personal connection to. The best way to determine your Facebook ads or other social media or web ads is to make sure you are reviewing the social metrics, especially exposure and frequency. 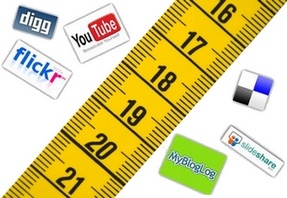 Exposure Rate social metrics is how targeted engagement is measured. A high exposure rate results in higher click through rates and ads that reached 76 to 100% of their target audience also had a conversion rate of 31.92% which is very successful. Lower exposure rates only received an 11.81% conversion rate. Exposure rate alone will not tell you everything you need to know and it doesn’t always guarantee success. That is why measuring frequency is important in order to balance the two to better determine the success rate. Frequency metrics measure how many times each user has been exposed to each ad. If the ad is exposed too frequently the conversion rates drops to 39% lower conversion rates after its been viewed six times because users start ignoring it. What this means is you want to improve ad success with exposure and frequency by studying social metrics to make sure each ad gets a high exposure rate and a low frequency rate for the best results. Also, creating Sponsored Stories and Post Ads may be your best choice in which types of ads to publish.